We are now cruising towards the season which means official visits are being locked in. 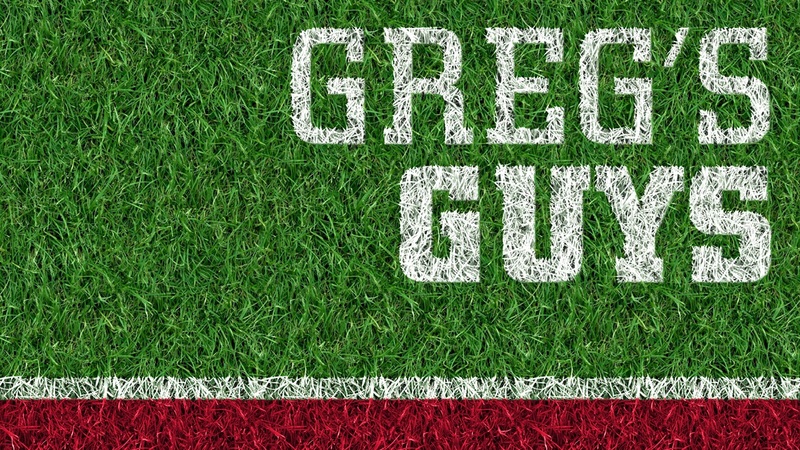 That also means it is time for a fresh Greg’s Guys list. Coming off a huge summer for Nebraska, half of this list is brand new. I’ve said in the past that Omaha Burke linebacker Nick Henrich would not lose his number-one spot until he committed so we finally have a new prospect at the top of the board. Here are the top 10 players for the class of 2019 based on Nebraska’s needs, how a player fits in the scheme and talent. We keep this list fluid and that’s what makes it fun! We have a new number-one player on the board. The electric do-everything back had 3,276 all-purpose yards last season with 43 total touchdowns. He has already taken official visits to Purdue and Michigan this summer. Despite the Huskers having three running backs committed for the 2019 class, Robinson would give them another versatile home-run threat. He will be in Lincoln on an official visit for the Akron game. The versatile defensive lineman has a great relationship with Nebraska following his two trips to Lincoln this spring including the spring game. I’m still expecting him to take a couple of official visits in the fall but Nebraska sits in a great position with him. He has the frame and versatility to play anywhere along the line for Mike Dawson. Wide receiver recruiting for 2019 had been a bit of a mystery until Jamie Nance‍ joined the fold. Now with one wideout in the class the Huskers can be pretty selective in who they take with the one remaining slot at the position. Williams is very fast, having run a 10.54 in the 100-meter dash, so he fits perfectly into what the Huskers are trying to do offensively. Williams visited Nebraska in June before the dead period began and has an official visit slated for Sept. 29 when Nebraska takes on Purdue. Ohio State, Oregon and Alabama are the main threats for him. It’s not often that you see a prospect listed at 6-foot-8, 290 pounds and think he’s very light on his feet. That’s exactly the feeling you come away with after watching Benhart. The Minnesota mauler is a 4-star (HV Rating: 91.5) prospect for good reason. He has already taken official visits to Wisconsin and Tennessee. The Huskers would love to host the prospect and get him around a game day in Memorial Stadium. The Huskers have done a good job recruiting Hickman who has a great frame (6-6, 195) to grow into a rush defensive end or be a hybrid tight end in college. Nebraska is leaving his college position open right now but he is quickly building a bond with the staff. Hickman is taking his time with the process and his recruitment is far from over but the Huskers are gaining momentum. Mullen (5-10, 160) shows a great burst on film and is a willing tackler. Toughness and tackling are two traits that defensive backs coach Travis Fisher must see if he’s going to recruit you. The south Florida prospect holds 20-plus offers. He already took an official visit to Pittsburgh in June and the Panthers are a major threat. The Huskers have secured an official visit with him for the season opener against Akron. Nebraska has not had much success recruiting Hawaii recently but hopes that the new staff will be able to turn that around. Vimahi is certainly the type of prospect you are willing to put a lot of time and resources into. He holds over 25 offers right now but cut his list down to eight recently. USC, UCLA, Notre Dame, Nebraska, Ole Miss, Virginia, Oklahoma and Washington are the eight schools vying for an official visit from the lineman. Nebraska has one cornerback in the class but will look to add at least three more. Wright is a very good prospect that has the versatility to play corner or safety. Wright (6-3, 190) is the son of former Blackshirt Toby Wright so he is plenty familiar with the traditions in Lincoln. Wright is schedule to take an official visit to Lincoln on Sept. 8 for the Colorado game this fall. Nebraska has been on a roll in Georgia and will hope to keep it going with the talented defender. The Peach State native is a two-way standout for his high school. Starks shows good coverage instincts on film and is not shy about coming in the box and making a hit. He holds over 25 scholarship offers and has only one official visit set. He is scheduled to visit Nebraska for the season opener against Akron. When a prospect measures 6-foot-6, 300 pounds it is hard to miss him. The Kansas City prospect is a real wild card in this cycle for Nebraska. Ike has not played football very long but he is oozing with potential if he gets in the right situation. He holds double-digit offers from all over the country. Miami, Iowa State Michigan and Alabama are other teams to watch in his recruitment.